Nobody knows what the situation will be tomorrow or whether transportation will have returned to normal. It is today, however–now–that we must make a decision. Under these circumstances, and sadly lacking a crystal ball, we feel unable to guarantee that the Arts Arena and Columbia Global Centers | Paris personnel necessary for security and for the projection of the scheduled films, or you, our audience, will be able to arrive as scheduled. The Arts Arena has a very special relationship with the Jerome Robbins Foundation, and our tribute to Jerome Robbins is highly important to us. For this reason, we prefer to present the extraordinary work of Jerry Robbins under less uncertain circumstances so that everyone can enjoy it fully. You will be notified of the new date very soon. Thank you for your enthusiasm for this event and for your understanding. We are all disappointed to have to make this decision, but our priority, of course, is the safety and comfort of everyone involved in the event. “Jerome Robbins and the Cinema” will make a wonderful opening to the Arts Arena’s 2019 season, and we look forward to seeing you then! President and Director, The Arts Arena International Inc.
A five-time Tony Award-winner, recipient of two Academy Awards and of the Kennedy Center Honors, Jerome Robbins was one of the greatest choreographers of the 20th century, and one of the most versatile. He came from modern dance and ballet, became the king of Broadway musicals − On the Town, Peter Pan, High Button Shoes, The King and I, The Pajama Game, Bells Are Ringing, West Side Story, Gypsy, Fiddler on the Roof − but then returned to ballet, working with the legendary George Balanchine and co-directing New York City Ballet after Balanchine’s death. 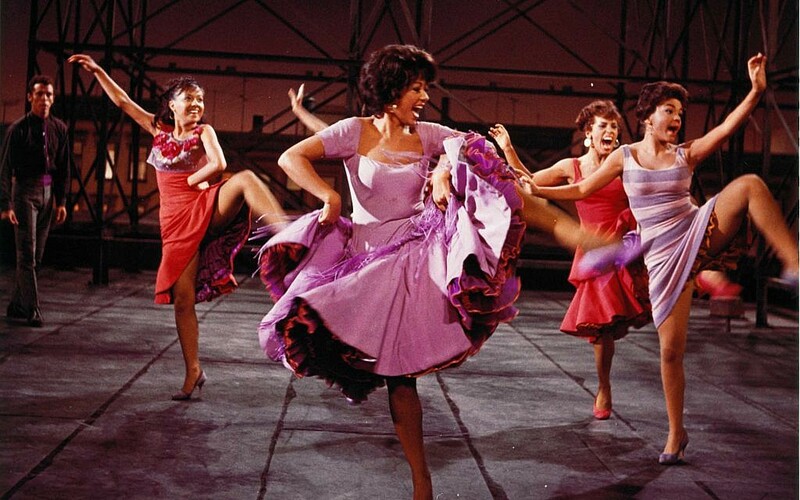 In honor of the centenary of Robbins’s birth, the Arts Arena is offering an afternoon and evening of films, ranging from Robbins’s ballet choreographies, to an Emmy and Peabody-winning documentary on Robbins the man, to a talk on Robbins’s “camera eye,” and culminating in a screening of Robbins’s most famous venture into cinema, the iconic West Side Story. Come join us to celebrate and toast this unique American giant of dance, Jerome Robbins. The Arts Arena is grateful and proud to have received multiple grants from the Jerome Robbins Foundation. The following schedule is subject to change. Any changes will be posted before the event. “Jerome Robbins and his Camera Eye.” Dr. Saumaa is a Columbia Institute for Ideas & Imagination Fellow.